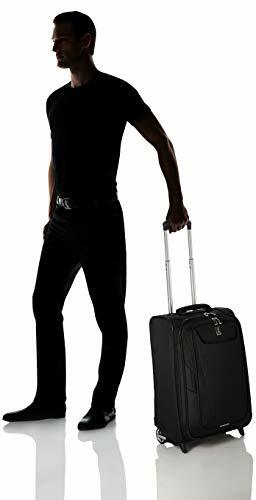 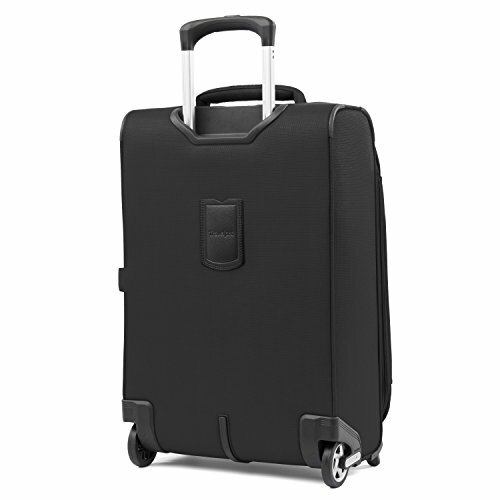 A half-pound lighter than the maxlite 4 version, this ultra-lightweight, ultra-durable 22" expandable Rollaboard suitcase maximizes your packing power and meets carry-on size restrictions for most domestic airlines. 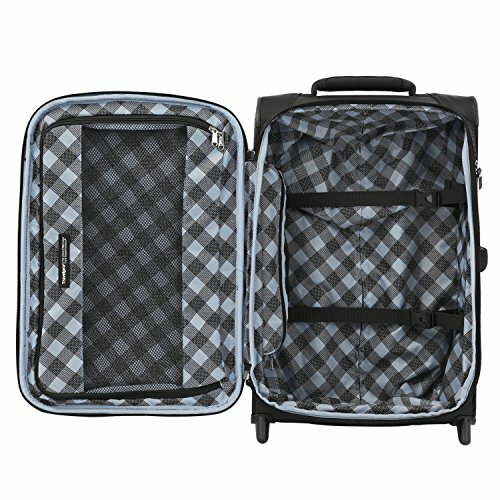 Polyester fabric with stain-resistant, water-repellant duraguard coating and ergonomic, high-tensile-strength zipper pulls provide lasting durability. 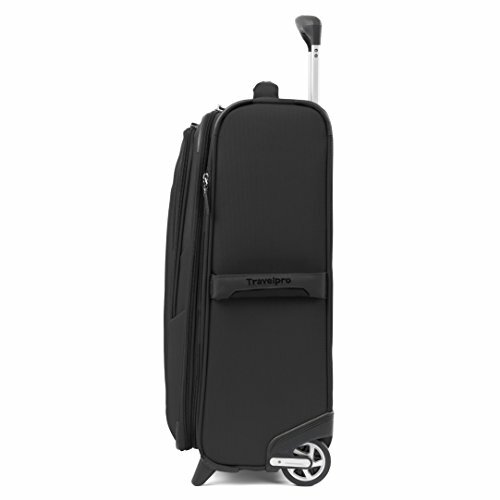 Expands up to 2" to maximize packing capacity with tapered shape to prevent tipping. 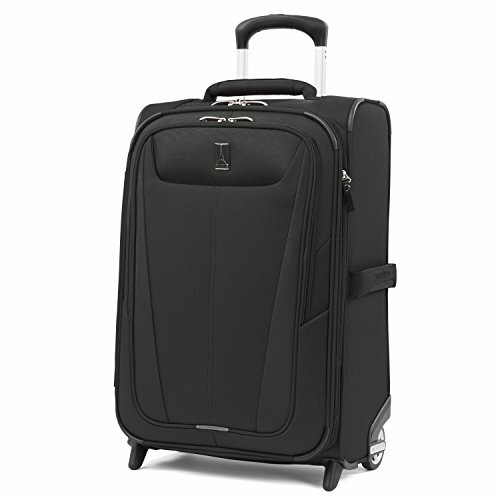 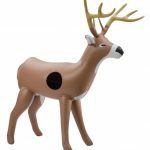 Features low-profile top, side and bottom carry handles, two exterior compartments, full-length interior lid pocket, side accessory pocket and adjustable hold-down straps for packing convenience and flexibility. 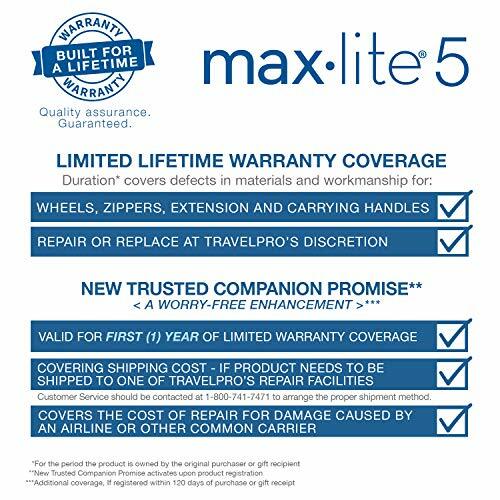 Limited Lifetime Coverage plus trusted companion promise, which covers the cost of repair for damage from airline or other common carrier for 1 year.